The fact that Red Bull has been able to so successfully permeate the world of music is a puzzling feat, considering that they’re primarily a seller of energy drinks. Brendon Harding is the Studio Manager at their London Studio location, and recently sat down with me in their “Studio A” room to chat about his work and about how the company has been able to have success in the music world. Hi Brendon. Nice to be chatting with you. Can I start by asking about your background within the music industry? Sure. I’ve always been interested in music since my childhood, in part because my mother was a primary school music teacher. During my secondary school period, I enjoyed working with Cubase and other early software like eJay and Super Duper Music Looper, and ended up doing Music as my GCSE. From there, I did my Music Technology A Level, and subsequently studied at SAE, taking their Recording Arts Degree, which I finished in December of 2004. Part of my degree entailed doing a work experience program at Soho Recording Studios in Bloomsbury, and I carried on assisting there for a couple of years. Through the guys there, I got to know Adrian Sherwood and became his engineer for three years. Through Adrian, I came into contact with Red Bull, through the guy that had built most of their studios around the world, and he offered me this job as Studio Manager. So it’s been quite a linear process for me. But you’d worked as an engineer up until taking the Red Bull job, so why were you employed as the “Studio Manager”, and not something like “Chief Engineer”? I’m both. I look after all the technical aspects of the studio. We have two ladies, Shannon and Melissa, who look after the bookings and handle the talks with artists and their teams. When it comes the details of the session, they hand it over to me, and I’ll look after things when the artists come in. So things are a bit different here from a conventional studio. As the head engineer, I handle 70% – 80% of our sessions, and have three guys that I can call on to cover the rest when I’m away or sick. Next year, we’ll be taking on an assistant as well. I see. Can you tell me about the history of Red Bull Studios London? How did it come about? 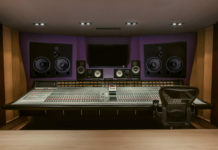 The London studio was built in the end of 2009, primarily to host the Red Bull Music Academy (RBMA) in 2010. Traditionally, RBMA would set up temporary studios for the event, which would be taken down and vacated afterwards. The London studio differed from other RBMA studios in that it was built to last after the event was over. 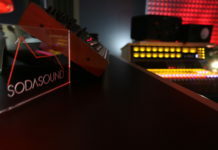 So in February 2010 we had the RBMA, and I started in March 2010, at which point we became Red Bull Studios London, and we’ve been going ever since. Was it the intent of Red Bull to build all of its studios to cater to the RBMA? No. 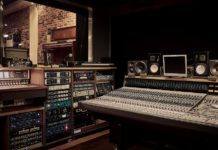 They run side-by-side as brother-sister projects, but there are several studios that were built independent of RBMA, such as the studios in Paris, Copenhagen, LA, and Auckland. The ones in London, Madrid, New York, Cape Town and Tokyo were built for RBMA, and carried on being normal recording studios afterwards. What are some of the resources that artists who wish to record at Red Bull Studio London will have access to? We’re set up to be able to cater to most sessions, be it voice-overs, radio shows, podcasts, etc. With our decent backline, we can cater to most bands of most sizes, in most genres. Artists with a death metal fetish might not find exactly all they need here, but we can work with most genres. We’re fully set up with a lighting rig too, so you can film things here. Are the rooms floated/isolated here? The live room and vocal booth are floated. The walls and ceiling are floated in the control room. Tell me about the desk. It’s an SSL, right? Yes, it’s an SSL G-series with 48 channels. It was originally built for a studio in Paris, but we came to have it three years ago. What was the reason behind picking it? The previous desk we had was DDA AMR 24, which was a great desk, but was limited in size and flexibility. At that point we were doing ten sessions a week, so we needed something more robust, and there aren’t many desks more robust than an SSL G-series. I see that you guys have some near-field PMC speakers here, as well as a different brand of some bigger ones. Tell me about those. The smaller ones are the PMC Twotwo.6’s. We have a good relationship with the guys at PMC, and I enjoy using their speakers a lot. The big speakers are the Dynaudio M3’s. They’re lovely speakers. Cool. Let’s talk a bit about Red Bull. It’s curious how this energy drink company has been able to insert itself and succeed so well in the music world. How do you think they were able to do that? When Red Bull is looking to get into a market, we prefer to start from the bottom, instead of jumping in at the top. It’s common for brands to just ask for the biggest person in a certain field, and then throw money at them to hold their product. That’s not how we’ve done things, whether it’s across our sports or music activities. We try to help people out that would have not been able make their projects work otherwise. We tend to be in favor of the underdog because anyone can throw money at the big guys. It’s harder work for us, and sometimes it doesn’t work out, but we like to think that we’ve had decent success with what we’ve done. Which projects do you feel have worked particularly well for Red Bull Studios London? Well, the three album projects we’ve done in this studio have all been nominated for the Mercury Prize. We did Ghostpoet’s first album, Jessie Ware’s first album, and part of her second one as well. We also did “Fortune” on Disclosure’s album, who went on to have mainstream acclaim, which is great. We’ve done a lot of stuff in other fields as well. We have a stage at Download festival, and run competitions for young rock and metal bands for a chance to play that stage, which has gone well in past years. We have a project called Catwalk Studio, were we partner an up-and-coming fashion designer with an up-and-coming musician to create a track for their upcoming catwalk show at London Fashion Week. We also have our Channel 4 show, “Launched At Red Bull Studios“, which is for highlighting our artist picks for 2015. Those artists come in to perform 2 songs each, they’re interviewed by our host, Annie Mac, and each act has an ambassador who talks about why they think they’ll be big next year. Within the culture program, some of our bigger events have been the Red Bull Culture Clash 2014 at Earls Court in October. We did Revolutions in Sound on the London Isle a year before that, with a million people watching via Internet streams. So we’re progressing on the event side of things. That’s cool to hear. Red Bull Studios doesn’t charge your artists for using the studio facilities, which is quite unconventional, isn’t it? Yes, it’s quite unconventional. If we chose to charge money to work with up-and-coming artists, we’d primarily be a business, which isn’t want we want. We’d rather take the financial hit, and help an artist, instead of saying “We really want to help you, but we’re going to have to charge you money“. That’s not helping. We could charge people for our time, which would go into the higher-tier of studio rates, but that’s not our philosophy. Given that Red Bull is a for-profit company, do you ever have to reconcile the financial and artistic side of things when you decide to offer your facility for free or choose to work with underground artists? What’s great about what we do is that we’re given a lot of license to try things out. There’s scope to attempt to make new things happen. Sometimes it works, and sometimes it doesn’t. But Red Bull as a company isn’t one to breathe down your neck and say “You must deliver bla bla“, which is nice. But what’s in it for you? If you’re going to support the underdog and receive little up-front financial compensation, how does it balance out for you? Are they supposed to credit you in their album sleeves or something like that? We love it when people credit us for their records, but we don’t ask for anything that other studios wouldn’t ask for. It’s common and polite to credit whatever studio you worked at for your album, be it Metropolis, or Miloco Studios, or Electric Lady. We’re not going to ask anyone to put our logo on their record, but it is a win for us to say that successful records were made here. Ultimately, there’s a kind of content or visibility that comes with artists being in the studio, be it pictures being taken or videos being shot. We also host press days here for when artists are doing promo for their music. So invariably, we get some kind of likening back to the building, and we have our name spread in what feels like a natural way, as opposed to a forced, paid way. I understand. Red Bull has quite a comprehensive music network, from it’s record label to the studios and other bodies. How do the different Red Bull music entities interplay with each other? We have Red Bull Records, based out of Santa Monica in LA, with a UK branch in Bermondsey. We also have Red Bull Publishing, which is based in Munich, and they look after licensing and sync for our projects. The Academy happens in a different city every year, and every territory will have local Red Bull events independent of other cities, though sometimes they align. No projects are wholly dependent on another entity within Red Bull, and we try to use the studio to support our projects. So when we had Culture Clash, earlier this year, the A$AP Mob was one of the performing artists, and the first time we met with them was in the London Studio. Their people got in touch with us about needing a studio to record in when they were in London, and we offered ours, and that opened the door for a relationship with them. Can you explain the difference between the Culture Clash and RBMA? Culture Clash is a one-off event, which involves four sound systems in one venue. RBMA has been going on for sixteen years, and happens in a different city every year, and is a month-long series of lectures for the participants, including parties that are open to the public. RBMA has two rounds of participants, who each get to spend two weeks in the program. When we had the RBMA here in 2010, the ground floor was used as the main studio, and the second floor was turned into nine smaller bedroom studios with fairly similar setups in each room, so people could bounce from one to the other to collaborate. It’s a special atmosphere, as everyone is very focused on trying new things and creating new music. Does the Academy function on the same model as the studio, where people don’t have to pay to get in? You don’t have pay to get in, but you do have to fill in an application form that’s 20-30 pages long, and takes few hours to complete. Then you submit a selection of your tunes as well. There are thousands of people who apply from all over the world, and only 60 are picked. It’s not about having the biggest names, but rather having the right dynamic people that can absorb the most over the two week period. From all that you’ve said about the studio, I gather that Red Bull Studios isn’t a place where just anyone can get into. Artists can’t just book time on the website, right? No. You can email us, and we’re welcome to that. But a lot of time we get people saying, “I have some bars and I need two hours. How much will it cost me? “. That’s not really the kind of session that we’re looking to entertain. We’d prefer if people came to us with an idea of what they want from the session, who’s going to be involved, what the direct outcomes are, and how it fits into their project. We want to people to have a plan, rather than just use our place to drop some bars. This isn’t to say that we haven’t taken in people that email us, because we have, but we’ve put in place mechanisms that helps us filter out certain types of sessions. A lot of our clientele come from recommendations from managers, labels, friends, and we’re confident in that network to bring us good work. Let me wrap up by asking what 2015 has in store for Red Bull Studios London. March marks our 5-year anniversary, so we’ll be having some events to commemorate that, though I’m not sure what we’ll do exactly yet. A lot of exciting stuff is coming is in the works. Red Bull Mixtape is something we’ve been working on with B.Traits from Radio 1, which will be coming out later this month. Also, there’s the Download Festival stage project in the spring. So we have a lot lined up. We’re already talking to some artists about album projects, which is exciting. We try to not book the studio too far in advance, as we would loose some flexibility to say “yes” to the random things that pop up, but we’re set for the next few months, and will see what the summer brings.